When Should You Call a Digital Forensics Examiner? Digital forensics is the science of identifying, collecting, preserving, analyzing and reporting the existence of electronic digital evidence in a manner that is acceptable to the legal system. Specially trained forensic examiners apply investigative, analytical and mathematical techniques to ensure the evidence is properly handled and preserved in order to maintain its evidentiary value. In short, the data is verified, validated, handled, preserved and reported irrefutably, in order to prove your case. WARNING: Digital forensics is NOT a traditional IT service. In fact, even a highly skilled, technical professional utilizing traditional tools and techniques to produce “evidence” may in fact alter or destroy the original data, fail to locate pertinent information and even lead to a claim of spoliation (evidence destruction). In addition, claims of inherent bias, conflict of interest, and even evidence tampering may be made if an independent investigator has not been utilized. 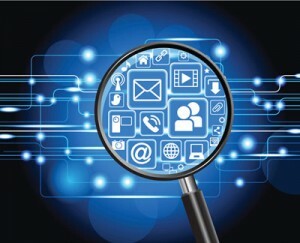 The goal of Digital Forensics is to perform a structured and repeatable investigation utilizing purpose-built tools, procedures and techniques to uncover exactly what occurred or what is stored on a digital device (cell phones, tablets, laptops, computers, and media) and who was responsible for it. When your case or investigation involves any digital device or storage media, it is critical to obtain the services of a trained examiner as quickly as possible. Modern smart phones and digital devices contain “dynamic” data that is easily compromised if not handled properly. The simple act of turning on a device, booting it, or even allowing it to be within range of a wireless network may destroy its evidentiary value. Only a trained examiner can perform forensic acquisitions, preservation and the reporting of digital evidence that will be used in a legal proceeding. The proverbial “needle in a haystack” may be hidden deep in this vast amount of digital information, but it can be extracted utilizing proprietary, specially designed tools and techniques by a digital forensics expert. Recoverable evidence can be used to identify wrong-doing such as crime, fraud and theft of Intellectual Property and even the location of specific events.